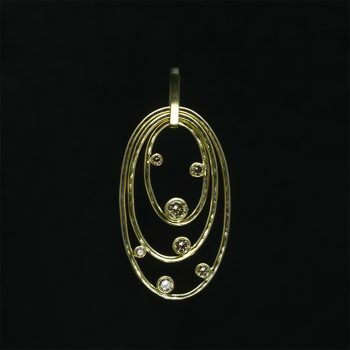 From an intense-colour gemstone two separated elliptical loops of silver drop down free to swing. Gentle irregularities and hand hammered finish enhance the organic taste of the piece. 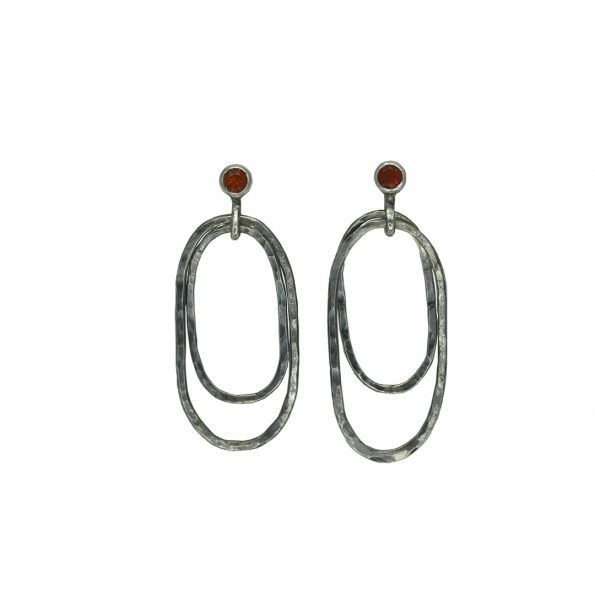 Materials used: Sterling silver, fire opals, patina.